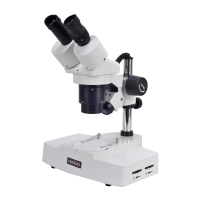 Another popular Omano workhorse for over 10 years, the OM-2344-B includes 7x-45x zoom stereo magnification with WF10x eyepieces. 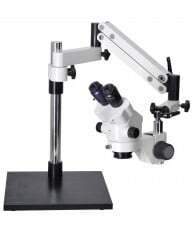 A full-sized microscope, it features a 75+ square-inch base and 5.75" clearance. 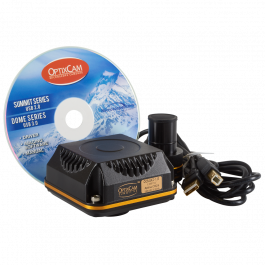 An optional trinocular port allows for use with one of our excellent NEW OptixCam Summit 1.3, 3.0, or 5.0 megapixel microscope cameras. 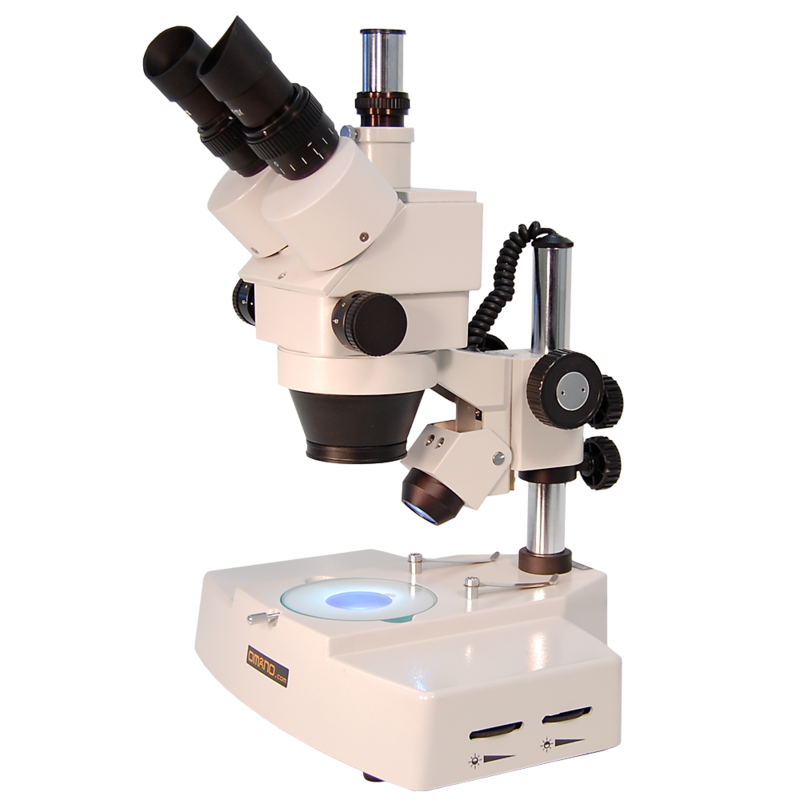 Dual, variable, halogen, upper and base lighting completes the system with, as always, the Omano Microscope lifetime limited warranty. 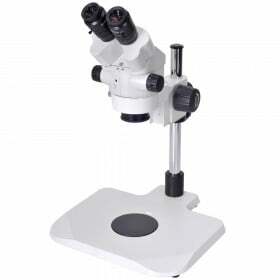 Another popular Omano workhorse for over 10 years, the OM-2344-T includes 7x-45x zoom stereo magnification with WF10x eyepieces and a trinocular port to mount a digital camera. 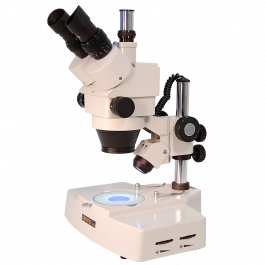 A full-sized microscope, it features a 75+ square-inch base and 5.75" clearance. 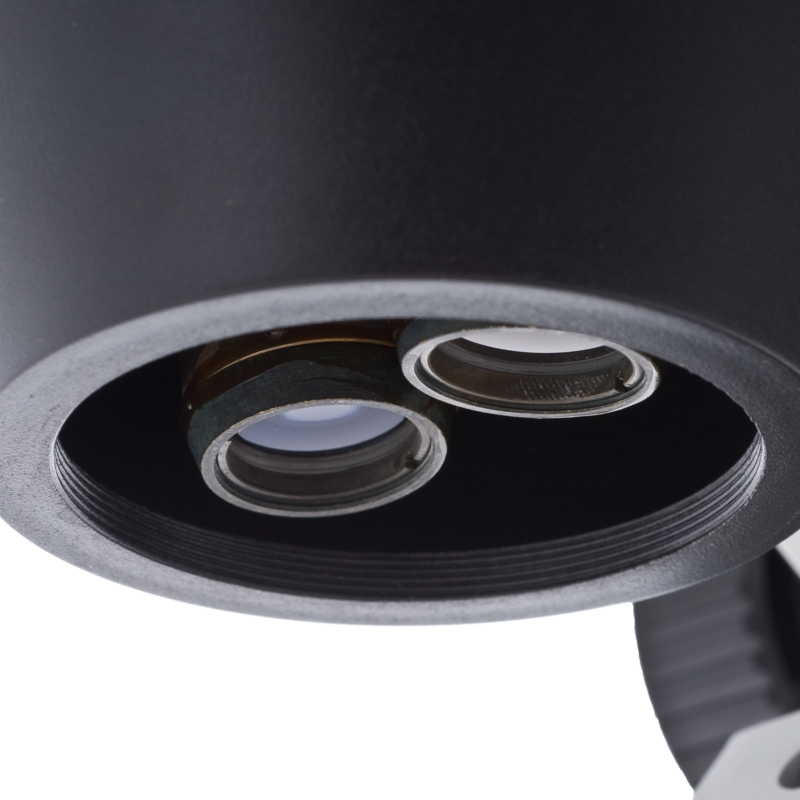 The trinocular port allows for use with one of our excellent NEW OptixCam Summit 1.3, 3.0, or 5.0 megapixel microscope cameras. 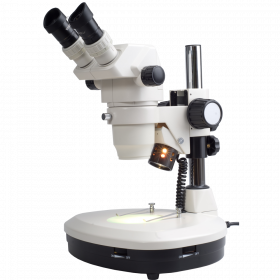 Dual, variable, halogen, upper and base lighting completes the system with, as always, the Omano Microscope lifetime limited warranty. It is available in either binocular or trinocular configurations. 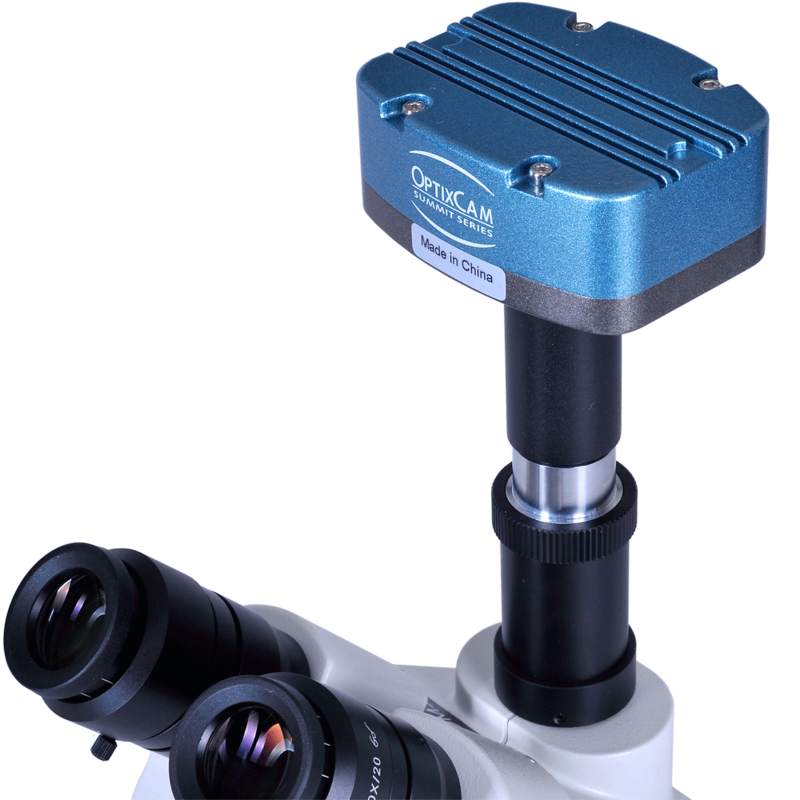 The Omano OM2344 is another strong-performing zoom stereo microscope for industrial inspection. 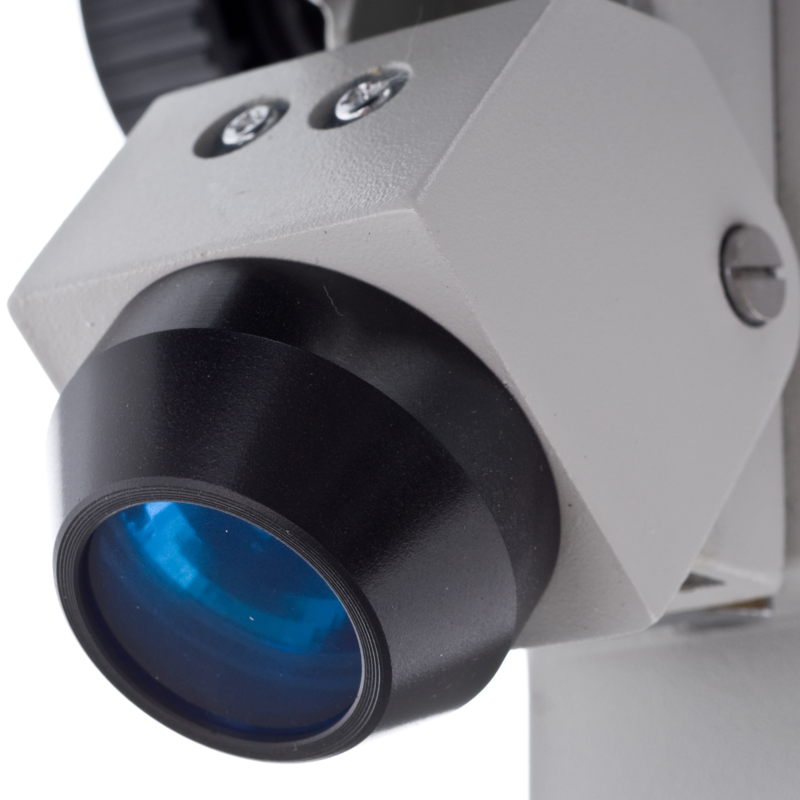 It offers 7x-45x zoom stereo magnification and is designed to withstand the rigors of an industrial setting at an affordable price. 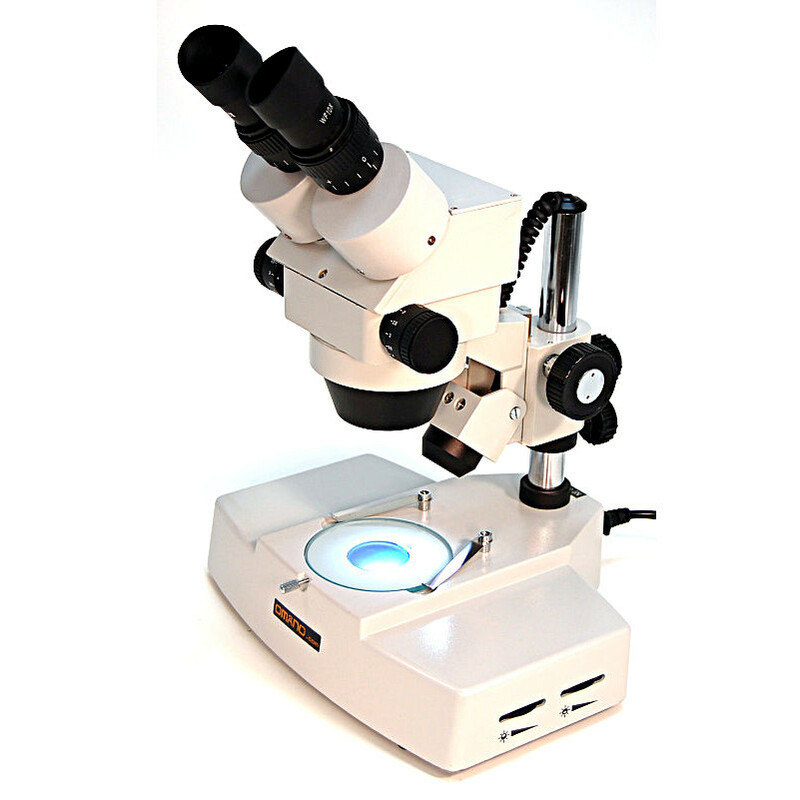 It includes variable halogen upper and base lighting to make it one of our most popular stereo microscopes. 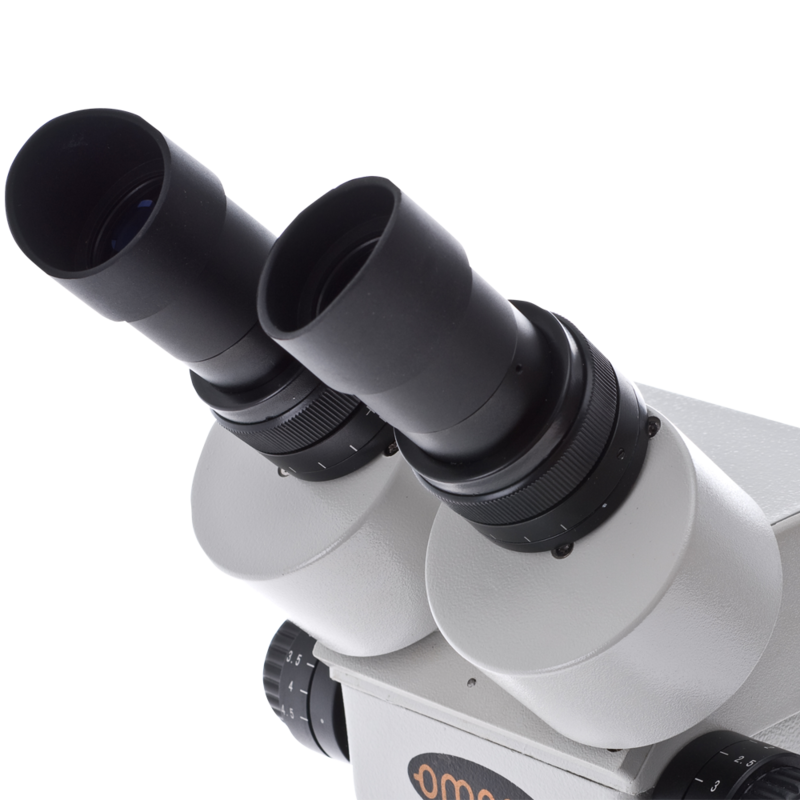 With two wide field WF 10x eyepieces and achromatic coated objective lenses, the OM2344 offers 7x-45x zoom magnification. 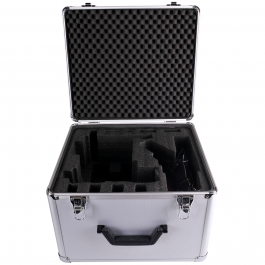 It has proven endearingly popular over the past ten years owing to a combination of good quality optics, rugged construction and affordable price. 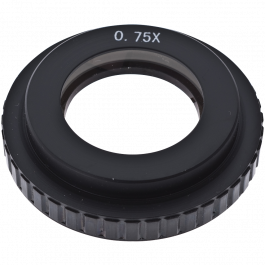 It is well-known for its distinctive, double wide base. 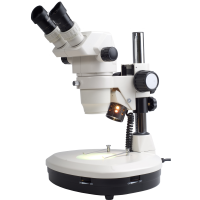 The head is inclined at a 45 degree angle, rotates through 360 degrees for flexible viewing positions and comes in binocular or trinocular versions. 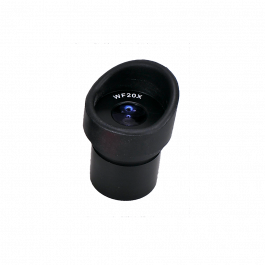 Dual diopters on the eyepiece oculars enables individual eye adjustments, and the interpupillary distance adjusts through 50-70mm. 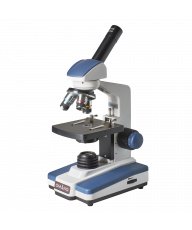 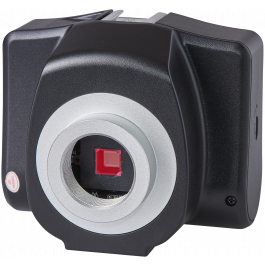 Similar to all our stereo microscopes, the OM2344 includes dual-sided focusing controls so that either hand can be used to focus. 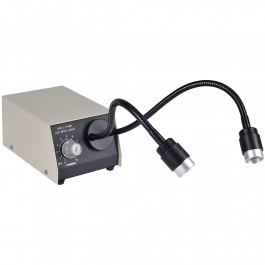 Illumination is powered by 110 volt, 12V 10W halogen in both transmitted (bottom) and incident (top) illumination. 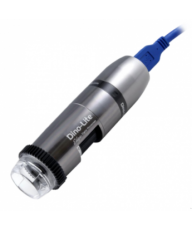 There are three light settings (top, bottom and top/bottom together), all of which have adjustable intensity. 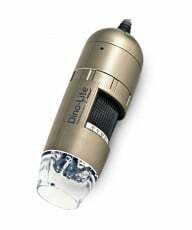 Two spare bulbs are included, one for the top and one for the bottom light. 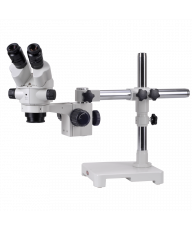 The OM2344 has a pole stand which offer greater flexibility than fixed arm stands since they can be used to view specimens off the stage (larger objects for example) while they can also be used in conjunction with an auxiliary Barlow lens.